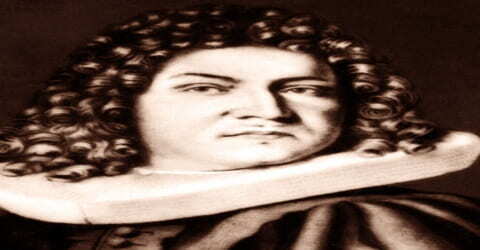 Jacob Bernoulli – Swiss mathematician. One of the many prominent Swiss mathematicians in the Bernoulli family, Jakob Bernoulli was born on 27th December 1654, in Basel, Switzerland. He was of the Belgian origin and it is said that his family was in the drug business until his grandfather decided to move to Basel escaping from the anti-Protestants religious tyranny. He introduced the first principles of the calculus of variation. Bernoulli numbers, a concept that he developed, were named for him. Although he studied theology and philosophy at university level he was more interested in mathematics and astronomy, which he studied side by side. However, it was only after he received his licentiate in theology that he could concentrate on his favorite subjects. For six or seven years he traveled throughout Europe studying under different scholars, after which he returned to Basel to take up a teaching post at his alma mater. However, he kept in touch with the academics he met during his travel throughout his life. Along with teaching, he started working on various mathematical problems, especially differential calculus as presented by Leibniz. Later, he made a significant contribution to the study of calculus and is often referred to as one of the founders of the calculus of variations. Scholars also give equal importance to his works in the field of probability and his derivation of the law of large numbers. Jacob also discovered the fundamental mathematical constant e. However, his most important contribution was in the field of probability, where he derived the first version of the law of large numbers in his work Ars Conjectandi. He lived for only fifty years, yet he left a huge body of work for posterity. Jacob Bernoulli, also known as James or Jacques, was born on 6 January 1655 (December 27, 1654, Old Style) in Basel, Switzerland into the famed Bernoulli family, originally from Antwerp. Over the course of three generations, it produced eight highly acclaimed mathematicians who contributed significantly to the foundation of applied mathematics and physics. Jacob’s father, Nicolaus Bernoulli, was an important member of the town council and also a magistrate. He was also the owner of a successful spice business, which he had inherited from his father. Jacob’s mother, Margaretha Schonauer, came from an influential family of bankers and councilors. Jacob had two younger brothers, Nicolaus and Johann Bernoulli. While Nicolaus grew up to be a painter and alderman of Basel, Johann became a mathematician and earned fame for his contributions to infinitesimal calculus. Following his father’s wish, Jacob studied theology and entered the ministry. But contrary to the desires of his parents, he also studied mathematics and astronomy. He traveled throughout Europe from 1676 to 1682, learning about the latest discoveries in mathematics and the sciences under leading figures of the time. This included the work of Johannes Hudde, Robert Boyle, and Robert Hooke. During this time he also produced an incorrect theory of comets. In 1682, Jacob started working on infinite series, but before he could progress much he returned to Switzerland. This was also the period when he produced his theory on comets but it later turned out to be incorrect. He also studied Isaac Barrow and John Wallis, leading to his interest in infinitesimal geometry. Apart from these, it was between 1684 and 1689 that many of the results that were to make up Ars Conjectandi were discovered. In 1684, Jacob Bernoulli married Judith Stupanus. They had two children; a son called Nicolaus (named after his grandfather) and a daughter (name not known). Although two of his nephews later became reputed mathematicians, none of his own children followed in his footsteps. Jacob had always been fascinated by curves especially the ‘Logarithmic Spiral’ resembling the mollusk shell which had perfect symmetrical spirals. Also known as ‘Spira Mirabilis’ meaning wonderful spiral, Jacob noticed its unique properties specifically one that if any part of the spiral is scaled up or down, it is exactly the same as the other parts. He chose this shape for his tombstone with the phrase ‘Though Changed, I rise again the same’. Although initially, Jacob collaborated with his younger brother Johann on various mathematical problems, over the years they became rivals and publicly attacked each other. By 1697, the relationship between the two became so bitter that they were no longer on speaking terms. 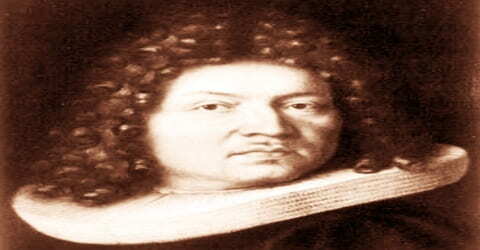 Jacob Bernoulli returned to Switzerland and began teaching mechanics at the University in Basel from 1683. In 1684 he married Judith Stupanus, and they had two children. During this decade, he also began a fertile research career. His travels allowed him to establish correspondence with many leading mathematicians and scientists of his era, which he maintained throughout his life. During this time, he studied the new discoveries in mathematics, including Christiaan Huygens’s De ratiociniis in aleae ludo, Descartes’ La Géométrie, and Frans van Schooten’s supplements of it. In the same year, while studying a problem regarding compound interest, he discovered the first approximation found of the mathematical constant ‘e’. This was possibly his first major discovery for which he justly became famous. Jacob particularly studied the work by Robert Boyle and Robert Hooke. An acquaintance with Gottfried Leibniz familiarized him with calculus and he published many outstanding papers on several significant concepts such as ‘Transcendental Curves’ in 1696 and ‘Isoperimetry’ in 1700 and 1701 consecutively. It was none other than Jacob Bernoulli who developed the technique to solve ‘separable differential equations’. After he returned from his travels in Europe in 1682, he initiated a school that focused particularly on sciences and mathematics. Sometimes now, his younger brother Johann Bernoulli entered the University of Basel to study medicine but soon started studying mathematics with Jacob. Subsequently, the two brothers began to study the publications of von Tschirnhaus as well as differential calculus as presented by Leibniz. In fact, the brothers were among the first batch of mathematicians who studied infinitesimal calculus. Subsequently, they began to apply the theory to various problems. Later they helped in spreading this new branch of mathematics and became instrumental in turning it into one of the fundamental features of mathematics. Side by side, Jacob continued his own research and in 1685 published his work on the parallels of logic and algebra in a pamphlet form. In the same year, he published another paper; this time on the theory of probability. Jacob was also given the post of Professor at the University of Basel in 1687 where he taught mechanics of solids and liquids. Even though he had a Theology degree his choice of career was never the church or anything related to it. His passion for mathematics and physics led him to carry out researches that contributed greatly to these fields. In the same year, he published his third major paper, this time on geometry, which gave a construction to divide a triangle into four equal parts with two perpendicular lines. Concurrently, he continued his research on infinite series, started in 1682. In 1689, Jacob established that if an experiment is repeated a large number of times then the relative frequency with which an event occurs equals the probability of the event. Subsequently, he wrote a few more treatises on infinite series that resulted in the establishment of the ‘Law of Large Numbers in Probability Theory.’ Meanwhile, in May 1690, Bernoulli published another important paper, which became a landmark in the history of calculus. In this paper, he for the first time used the term integral with its integration meaning. In the same paper, he showed that the problem of determining the isochrones or the curve of constant descent is the same as solving a first-order nonlinear differential equation. In 1690 Jacob Bernoulli became the first to use the term integral in analyzing a curve of descent. His 1691 study of the catenary, or the curve formed by a chain suspended between its two extremities, was soon applied in the building of suspension bridges. In 1695 he also applied calculus to the design of bridges. During these years, he often engaged in disputes with his brother Johann Bernoulli over mathematical issues. Jacob then began working on the problem and by 1696 he had solved the equation by the method of separation of variables. The equation is now known as ‘The Bernoulli Equation’. Jacob collaborated with his brother on various applications of calculus. However, the atmosphere of collaboration between the two brothers turned into a rivalry as Johann’s own mathematical genius began to mature, with both of them attacking each other in print, and posing difficult mathematical challenges to test each other’s skills. By 1697, the relationship had completely broken down. 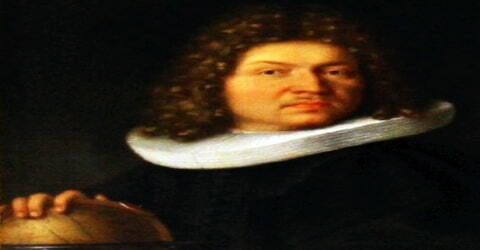 The lunar crater Bernoulli is also named after him jointly with his brother Johann. Meanwhile, Jacob Bernoulli continued working on various other problems. Around 1692, he investigated caustic curves and worked especially on the parabola, the logarithmic spiral, and epicycloids. Next, in 1694, he first described ‘The lemniscate of Bernoulli’, as it was later named. In 1695, he worked on drawbridge problems. Throughout his life he continued working on infinite series and published several papers on it. The last paper was published in 1704, a year before his death in 1705. Jacob Bernoulli had started the work in 1684. Although a major part of the book was finished by 1689 he continued working on it until his death in 1705. Therefore, it is essentially an incomplete work. Yet, the scholars consider it to be one of the major works in combinatorics and mathematical probability. 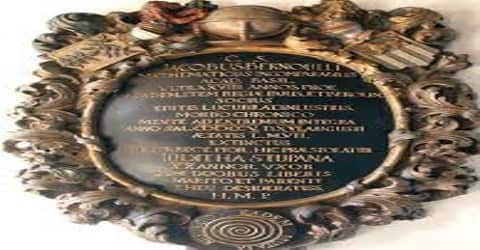 Jacob Bernoulli died on 16 August 1705. As per his wish, the logarithmic spiral with the Latin inscription ‘Eadem Mutata Resurgo’ was engraved on his tombstone in Basel Munster. The inscription also says that he had been suffering from some chronic disease and died from it at the age of fifty. Jakob Bernoulli’s pioneering work Ars Conjectandi (published posthumously, 1713; “The Art of Conjecturing”) contained many of his finest concepts: his theory of permutations and combinations; the so-called Bernoulli numbers, by which he derived the exponential series; his treatment of mathematical and moral predictability; and the subject of probability containing what is now called the Bernoulli law of large numbers, basic to all modern sampling theory. His works were published as Opera Jacobi Bernoullii, 2 vol. (1744). Many mathematical nomenclatures like Lemniscate of Bernoulli, Bernoulli differential equation, Bernoulli law numbers, Bernoulli’s formula, Bernoulli polynomials, etc. carry his name. The lunar crater Bernoulli, located in the northeast part of the Moon, is named jointly after him and his brother Johann. Jacob Bernoulli was one of the most significant promoters of the formal methods of higher analysis. Astuteness and elegance are seldom found in his method of presentation and expression, but there is a maximum of integrity. 2034 Bernoulli, a minor planet discovered on 5 March 1973, has been named after the Bernoulli family, especially after Jacob Bernoulli.